The House of Representatives (Nepali: Pratinidhi Sabha) was the lower house of parliament during the 1990 Constitution in Nepal. It consisted of 205 members directly elected by the people. It had five-year terms, but it could be dissolved by the king on the advice of the prime minister before the ending of its term. 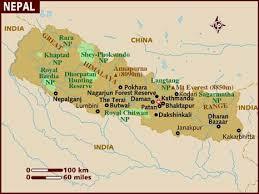 The Pratinidhi Sabha was provisioned by the Constitution of the Kingdom of Nepal 1990 in October 1990. According to which the parliament was formed by the General Election held in April 1991. Legislative elections will be held in Nepal in two phases on 26 November 2017 and 7 December 2017 to elect members of the House of Representatives, the lower house of the Federal Parliament. The tenure of the current Legislature Parliament ends on 21 January 2018 and if the parliament is not in place by then, the country will be without a legislature. The 275 members of the legislature will be elected by two methods; 165 will be elected from single-member constituencies by first-past-the-post voting and 110 seats will be elected by closed listproportional representation from a single nationwide constituency.A party or electoral alliance must pass the election threshold of 3% of the overall valid vote to be allocated a seat under the proportional method.The candidate who obtains the support of majority of the members will become the next Prime Minister. A five-member Constituency Delineation Commission was formed under the chairmanship of former Supreme Court Justice Kamal Narayan Das to redraw the constituency boundaries to 165, a reduction from the 240 used in the 2013 elections. It submitted its report to the government on 30 August. The boundaries set by this commission will remained unchanged for the next 20 years as per Article 286 (12).